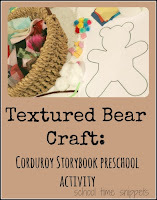 A majority of our activities shared on the blog are activities I have created for my kiddos in our homeschool; however, my motto here is "learn and play today" and so today I am sharing a fun game inspired by the storybook, Corduroy. 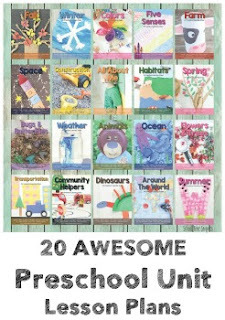 Play it today after reading the storybook, Corduroy or save it for when everyone is experiencing the "winter blues" and needs a fun activity indoors! In the storybook, Corduroy goes searching the department store after hours for his lost button. He ends up in the mattress/ bedding department where he looks "under and over sofas and beds until he comes to the biggest bed of all." He climbs up onto the bed and exclaims, "here is my lost button!" and tries to pull the button off, but ends up pulling so hard he falls off the bed and knocks over a lamp. The loud crash sends the security guard to the floor searching for what may have made that sound. With his flashlight he finds Corduroy tucked in a bed! That scene is the inspiration for our hide-n-seek game. 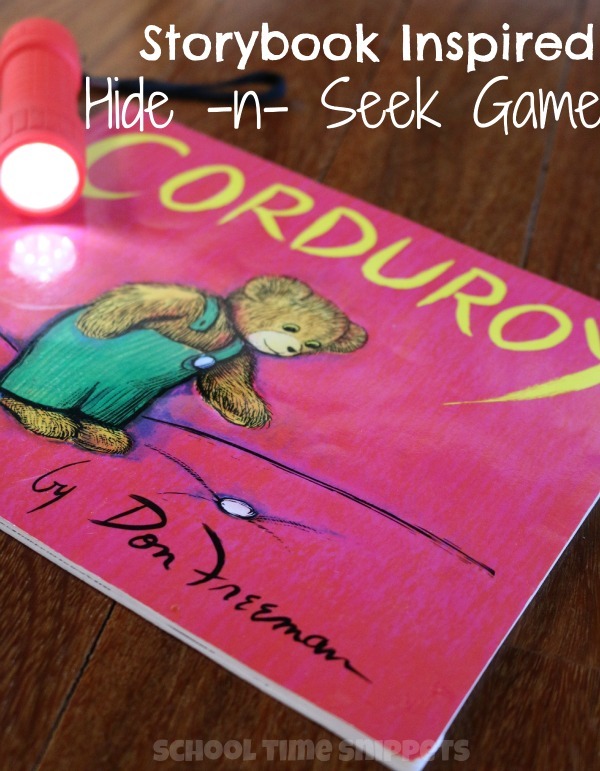 With willing participants, a flashlight, and a dark room you are ready to play our Corduroy Inspired Hide-n-Seek Game! It is played just like regular hide-n-seek, but in the dark! The person that is "it" uses the flashlight to find those that are hiding! My kiddos loved this game! For an alternative, gather stuffed animals to hide instead of people!